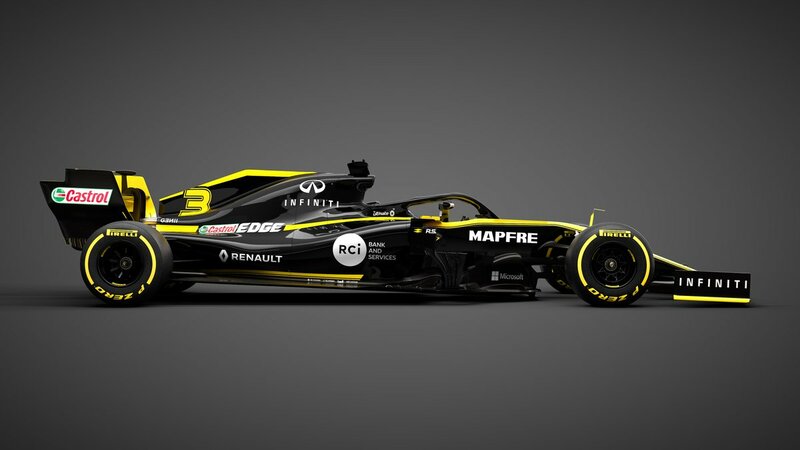 Renault becomes the fourth F1 team to unveil its new car for the upcoming 2019 season. Renault has revealed its new Formula 1 car, the R.S.19, ahead of the 2019 season. The French manufacturer became the fourth team to pull the covers off its 2019 challenger at its Enstone headquarters, following on from the launches of Haas, Toro Rosso and Williams. Renault claimed its best result since returning to F1 as a fully-fledged factory outfit by securing fourth place in the 2018 constructors’ championship, finishing behind only Mercedes, Ferrari and Red Bull. It has prized Daniel Ricciardo away from Red Bull to partner team regular Nico Hulkenberg and lead Renault’s revised driver line-up as the French squad continues its long-term bid to move up F1’s pecking order and return to winning ways. Renault has created an entirely new car design - barring its power steering system - for the upcoming campaign, including developing a brand new power unit in a renewed push for performance gains as it looks to follow its year-on-year improvements since taking over from the Lotus squad in 2016. As a works entry, Renault has not finished on the podium since 2011 with its last race win coming at the 2008 Japanese Grand Prix, having previously claimed back-to-back constructors’ and drivers’ world championships with Fernando Alonso in 2005 and 2006. When is the Azerbaijan GP and how can I watch it?